Alistair McGhee gets his head around the new Thunderbolt/USB3 AVB interface, set up alongside an accompanying M64 MADI unit. In these times of austerity, value for money (VFM for short) has become almost all-important in our purchasing decisions. 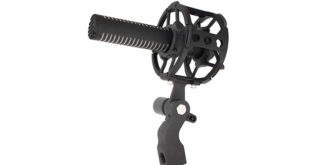 So how might we judge the latest offerings from MOTU against the VFM yardstick? I suggest there are two main factors in our choice of audio interfaces: the basic I/O count, and what you might call the extras – all the other goodies. Two of MOTU’s latest designs, the 624 (Thunderbolt/USB3) and M64 (MADI), come in the standard MOTU half-rack package. The 624 has pots for the front panel guitar inputs and also for the two mic inputs, which also have separate hardware controls for the pad and phantom power. The M64 has no audio controls beyond the headphone pot but there is full control via the web interface. And both devices can recall factory and user presets from the front. 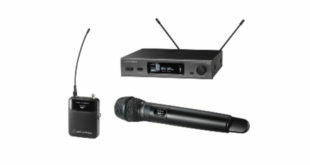 The new MOTU 624 offers eight analogue inputs, two mics, two Hi-Z for guitars etc. and four balanced/unbalanced line inputs. You also get eight digital inputs on ADAT, four at high sample rates. Outputs offered are six balanced/unbalanced analogue line, plus a stereo headphone feed and eight outputs on ADAT. That’s a tidy amount of I/O but I think it is the other half of the proposition that really strengthens the 624’s hand and the big players here are DSP and AVB, now often seen as AVB/TSN (Time-Sensitive Networking). 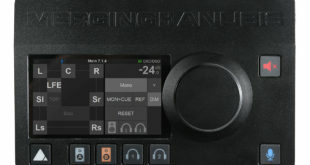 The plus for an AVB-equipped device like the 624 is that down one Ethernet cable you get lots of channels – 512 in a MOTU network (at 1x sample rate) and 64 channels of low latency audio in and out of a 624. The MOTU AVB range now offers everything from a fully rigged 16-in/8-out stage box, via all manner of analogue and digital options through to the M64, which offers 128 channels of MADI input. Up until the arrival of AVB/TSN, the classic way to expand your channel count has been ADAT or MADI – but look at the AVB advantages. It offers huge channel expansion possibilities, runs on standard Ethernet cables up to 100m and is fully network capable. Build yourself an AVB network and you can aggregate multiple devices routing audio in and out of the network at will. To build a proper network you will need a switch – probably MOTU’s AVB switch, as you can’t use an ordinary Ethernet switch. And once your other MOTU AVB units are connected you have full control over them from a web-based app, which can run anywhere on the network into which the interface is connected, or over the USB/Thunderbolt connection. The other big boost is the mixing power. Each AVB interface carries enough DSP to mix and process 48 channels of audio and given you have up to 64 extra inputs this mixer is real-world relevant. It includes some sweet EQ and gates and compressors on every channel. There’s even a basic reverb for your monitor mix. I began by plugging some channels of MADI mic preamp into the M64; I then piped that over AVB into the 624, which in turn was connected by USB (or Thunderbolt) to my Macbook Air or a Windows 10 machine. If I had enough sources, I could now take my pick from up to 128 MADI channels from the M64 – one over coax and the other over optical plus the 16 inputs of the 624. MOTU specs the 624 with USB 3 and Thunderbolt on board as delivering 128 channels at 44/48 and up to 64 channels all the way up to 192kHz. 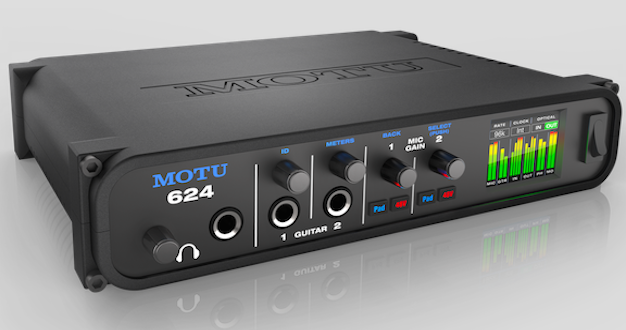 The M64 is a digital-only device but MOTU have worked hard on the 624’s analogue audio. 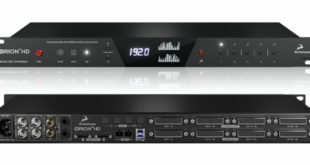 It features the Sabre32 DAC, which is the same as used in it’s bigger brother, the 1248, and offers the same increased signal-to-noise on the analogue outputs. I tried the 624 mic amps against some big-ticket alternatives and found the MOTU preamps easily holding their own. Put AVB and MADI together and you get some serious reach. The 624 is connected to the computer by a 2m Thunderbolt lead but the M64 can be up to 100m away down the Cat5 and the MADI kit another 100m away – add a switch and we have another 100m of cable. This is massive flexibility and enables deployment way beyond the standard duties of sound cards. Control of your MOTU is down to a web-based app that discovers your device or devices, integrates their connected AVB I/O and presents it to you in a browser window for routing and mixing. The down side? Well, the massive flexibilty means you need to be on your toes in terms of setup. Remember, with AVB on board you have potentially 78 inputs and outputs on your 624 and that’s a big matrix. And then there’s the 48-channel mixer to think about. Fortunately, MOTU has included lots of ways of simplifying what you see and the signal present metering in the routing app is a big help. With 128 MADI inputs routable to 128 MADI outputs plus the 64 channels of AVB the M64 is a great way to get MADI into your computer, although I do wish it had gone USB3, similar to the 624. Having optical and coax inputs on board and optical output plus mirrored coax outputs means that the M64 is a powerful MADI problem solver. And out of the box the AVB devices come with factory presets to help you start solving a variety of problems. The 624 opens the door to AVB world and gets you a seat at MOTU’s top audio quality table at a more affordable price than has been possible up to now.